Taos ranks as a cool town! It is exciting when others figure out what locals have always known...Taos is a really cool town! The rich culture, authentic food and drink as well as the unique variety of activities that are available make Taos, New Mexico a premier destination. The Matador Network has Taos chosen as the only town in New Mexico on their top 25 cool towns for the second year in a row. Though its population is well under 100,000 (32,795 for Taos County and 5,668 in the town itself), it ranks alongside other towns much larger in size due to the artistic communities and galleries, shopping, and the beautiful Taos Ski Valley and historic Taos Pueblo. 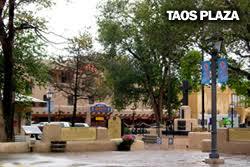 The Taos Real Estate market is wide open with Taos homes for sale and lovely Taos condos. We also have Taos land for sale from smaller lots to larger Taos acreage. If you are looking to buy into the cool culture of Taos, let us help you create a lifestyle that is perfect for you. New Mexico Mountain Properties can help make your vision a reality. Contact our Taos Real Estate Brokers at 575-758-5852 where our knowledgeable brokers will guide you towards your dream. We also have an office in Angel Fire to assist if you prefer the Alpine setting of Angel Fire. Give our experienced Angel Fire brokers a call at 575-377-2626 whether you are looking for an Angel Fire home for sale, a condo in Angel Fire for those weekend getaways or an investment property in Angel Fire. Ask our New Mexico Properties brokers about our spectacular 10-20 acre parcels of land in beautiful Taos Pine Ranch or Hidden Lake. We are here to serve you! Trip Advisor staff praised Taos for its rich culture, beautiful landscapes and long list of interesting activities throughout the year. The most impressive attraction is still the UNESCO-rated Taos Pueblo, the huge adobe complex that's housed locals for 1,000 years. Another highlight is the Rio Grande Gorge Bridge. As usual, there's plenty going on in Taos this year: secret supper clubs, farmers' markets, the Music on the Mesa Festival. Taos also was named the No. 3 Best Christmas Vacation in the world in 2017 by U.S. News and World Report. One of only two U.S. destinations, Taos beat out major cities such as London, Zurich, and Amsterdam. In addition, the February 2018 issue of Sunset Magazine named Taos as one of its "Best Places to Live in the West." Come on vacation...you may never want to leave. If you decide to stay forever allow the ladies at New Mexico Mountain Properties find the perfect home in Taos or Angel Fire, maybe a condo in Taos, close to Taos Ski Valley or the historic Taos Plaza. Thinking of a home or condo close to the slopes in Angel Fire we are the ladies to call on. Do you want to lessen your imprint on the world buy an Earthship designed for green living. Maybe you want the perfect Taos get away to fuel your artistic side call us at (575) 758-5852. Perhaps you are wanting to build your dream home we have lots and larger parcels to choose from in Taos and Angel Fire. Does lakeside living appeal to you? We have many lakeside lots available in Angel Fire's private community of Hidden Lake.Do you prefer views of the Angel Fire Resort Ski Slope, check out the lots for sale in Taos Pines Ranch. If buying or selling Angel Fire property call us at (575) 377-2626. The Taos valley can trace inhabitants back about 9000 years. From the ancestral Pueblo Indians (known as the Anasazi) to the residents of the still inhabited Taos Pueblo, to the conquistadors traveling north from Mexico, to the artists of the past century. Taos has been a place of sharing goods and knowledge. Some 6000 years ago, nomadic hunter-gatherers passed through the Taos area, leaving behind arrowheads, potsherds, and pictographs. Taos is a place where history is honored and continues to be made every day. The ancestors of today's Taos Pueblo Indians established cultures in Chaco Canyon, Salmon Ruins, and Canyon de Chelly. There are many examples of American Indian inhabitation as you travel throughout the Taos area. When we think of Taos as an art colony, we should also think of the original artists who established Taos as a trading center long before Europeans set foot in the valley. The history of the Taos Valley can be interpreted through artifacts left by the many diverse cultures that have called it home. In some areas, you can still find pot shards and arrowheads left behind by the ancestors of today's residents of Taos and Picuris Pueblos. The town of Taos itself is more than 400 years old, reaching back to the Spanish exploration and settlement of New Mexico. Taos is considered by many to be the ending point of El Camino Real (The Royal Road). More recently, the many ethnic groups that have populated the rest of the United States have also gained a foothold in North Central New Mexico, adding to the rich cultural heritage represented in the Taos museums. Over the years, the variety of films shot in Taos reflects the range of terrain in the region. Taos has been synonymous with art and artists for more than 100 years. Even before the many 20th century artists flocked to Taos in search of light, landscape, and inspiration, Taos was famous as a trading center. Hispanic folk art, Native American pottery, and other crafts were some of the main commodities. Today, with more than 80 galleries and seven museums, Taos is still a haven for artists looking to establish themselves and a home to many of the world's most famous artists as well. Whether you are looking to buy or sell a home, look to New Mexico Mountain Properties in Angel Fire and Taos, NM for all of your Real Estate needs. Our warm and inviting staff will help you get exactly what you are looking for, like our majestic mountain homes for sale in Angel Fire will give you the mountain setting you may want while our unique Taos homes for sale will let you get in touch with your creative side. Our Taos Ski Valley and Angel Fire condos for sale will put you right next to all the winter activities. If you're looking to build your own home, then our Angel Fire and Taos land for sale will give you the freedom to create your own dream home. If you are seeking to live totally off the grid, then look to our Taos Earthships for sale. Whatever you're looking for we can help you find it. Give us a call at 575-377-2626 in Angel Fire, 575-758-5852 in Taos or 575-770-3306 to speak directly to an agent. We are here to serve and welcome you to our spectacular area. Angel Fire is located at an elevation of 8,382 feet in the high Moreno Valley of Colfax County. The climate mirrors the Rocky Mountain setting that includes some of the highest peaks in New Mexico. About 210 inches of snow typically fall on Angel Fire in the winter, and average temperatures range between zero and 30 degrees. Summertime highs rarely exceed 80 degrees, with frequent afternoon thunderstorms that cool off midday temperatures. Surrounded by US National Forest and private ranches, the incorporated Village of Angel Fire covers 18,450 acres. The village includes the general aviation Colfax County Airport and the Angel Fire Ski and Golf Resort, a private membership community overseen by the Association of Angel Fire Property Owners. The resort has more than a thousand private homes, a 500 acre ski and snowboard mountain, a championship golf course, country club, fishing lake and other amenities for member-landowners. Non-members can pay to use most resort facilities. A favored hunting ground for the Utes, the Moreno Valley grew in the 1860s with the discovery of gold. Ranching dominated the local scene until the 1960s, when the first ski runs of Angel Fire Resort were cut on Aqua Fria Peak. Tourism fuels the local economy, although several large working ranches still operate in the area. Whether you are looking to buy or sell a home, look to New Mexico Mountain Properties in Angel Fire and Taos, NM for all of your Real Estate needs. Our warm and inviting staff will help you get exactly what you are looking for, like our majestic mountain homes for sale in Angel Fire will give you the mountain setting you may want while our unique Taos homes for sale will let you get in touch with your creative side. Our Taos Ski Valley and Angel Fire condos for sale will put you right next to all the winter activities. If you're looking to build your own home, then our Angel Fire and Taos land for sale will give you the freedom to create your own dream home. If you are seeking to live totally off the grid, then look to our Taos Earthships for sale. Whatever you're looking for we can help you find it. Give us a call at 575-377-2626 in Angel Fire, 575-758-5852 in Taos or 575-770-3306 to speak directly to an agent. We are here to serve and welcome you to our spectacular area. Fiesta del Sol Spring Break Celebration Week 1 | March 5-12 Spring Break in Angel Fire is full of snowy mountain fun in the sun jam-packed with family activities! First Tracks | Every Day The early bird gets the fresh track! Join us for First Tracks at 7:45 a.m. to make your first turns before anyone else. Space is limited so sign-up by calling 866-328-3552. Night Skiing | Every Night We're keeping the lights on every night during Spring Break from 4-8 p.m. for only $12 with a same day lift ticket! Angel Fire Resort is the ONLY resort in New Mexico that offers night skiing, so don't miss out on this unique experience under the stars. Saturday Night Flava Terrain Extravaganza | March 5 NM(X) Sports, New Mexico's premier youth focused organization, brings its Rail Jam series to our stellar Terrain Park! PRIZES for best run, best trick and slickest disco outfit. Sign-ups are the day of the contest & it's FREE to compete. Ski Bum Ball | March 5 Live music will begin slope-side at 3:30 p.m. in the Village Haus. Come out and enjoy this fun kick-off party to a week of celebration! Fiesta del Sol fun continues for Week 2, March 13-20. Lodging is filling up quickly for Spring Break, but we do still have some availability. Book your family's adventure online or by calling 866-328-3552. While you are having so much fun, have some more fun checking out the many real estate bargains in Angel Fire, New Mexico. New Mexico Mountain Properties has numerous listing for lots and homes of any size to fit your wishes. Angel Fire, New Mexico is growing fast but, the buyer's market is still here. The friendly folks at New Mexico Mountain Properties are eagerly awaiting a chance to show: homes or lots in Angel Fire, New Mexico in a competent and professional manner. Makes no difference if you are looking for a home in Angel Fire, a condo in Angel Fire of land in Angel Fire, New Mexico Mountain Properties has the perfect listing for your needs. By Kali Hawlk: Kali Hawlk is a freelance writer and the co-founder of Off The Rails, a free mentorship platform for creative women. She's passionate about helping others do more with their money, their work, and their lives. Get in touch by tweeting @KaliHawlk. In December 2015, two members of the U.S. House of Representatives introduced a new bill. Known as H.R. 4211, or the Credit Score Competition Act, the bill is in its first stage of the legislative process. Although it's a long way from becoming a law (and your eyes may have glazed over at all that legislative jargon), future homebuyers have good reason to keep an eye on this bill. Proponents say it should help a number of first-time homebuyers compete in the real estate market. That's because the bill would push for a new credit-scoring system, one that could potentially allow more buyers to secure funding (and be more competitive your area and other challenging markets). But how much will it really help your credit-score rating -- and how quickly? What is the Credit Score Competition Act? H.R. 4211 is a bipartisan bill introduced by Ed Royce (R-CA) and Terri Sewell (D-AL). The bill would impact the Federal National Mortgage Association Charter Act. The core of the bill would require government-backed mortgage institutions -- meaning Fannie Mae and Freddie Mac -- to use credit scores in the underwriting process of residential home loans "only under certain conditions," which would include making the process used to validate and approve credit scores publicly available. According to the representatives who introduced the Credit Score Competition Act, this means that Fannie Mae and Freddie Mac could go beyond using the FICO credit-scoring model and use other systems, which is a big deal for those who have a low FICO credit score but are otherwise good home-loan candidates. Why? How would this help potential homebuyers? Here's where things get interesting for potential homebuyers. People with credit scores that do not meet FICO's standards of "good" or "excellent" could be evaluated under different credit-score systems and therefore have their credit rated differently. In theory, this could help those buyers receive approval for a mortgage they might otherwise have missed out on. Because Fannie Mae and Freddie Mac own about 90% of the secondary mortgage market, and they're allowed to consider only FICO scores, there's no room for competition in the credit-scoring industry. With such low competition, there's no reason for companies to innovate. This matters because not everyone has access to traditional forms of credit that beef up your FICO credit score (think steady income, bank accounts, assets, and months of credit-building history). Proponents who argue Fannie Mae and Freddie Mac should be allowed to look at new credit-scoring systems say FICO's way of formulating credit scores is unfair to a number of groups, including first-time homebuyers, lower-income families, and minorities. The model currently used to score borrowers is based on data from nearly 20 years ago and excludes millions of people that companies like Experian say are creditworthy but whose scores don't reflect that under the system in place today. Will the Credit Score Competition Act help you? Credit-scoring models currently used in the residential mortgage process judge someone's creditworthiness on a strict set of criteria but leave out factors that may indicate financial responsibility. For example, right now, FICO generally doesn't take into account factors such as whether you pay your rent on time. Sometimes, that's the only way first-time homebuyers can demonstrate they're capable of handling a monthly mortgage payment. The current credit-scoring model also effectively punishes borrowers who don't have much of a credit history; a short or nonexistent credit history can drag down overall scores. With this system, if you're financially responsible, a diligent saver, and debt-free, you could still miss out on a mortgage because you don't utilize credit in your day-to-day life (some people do prefer to use cash!). Stay tuned to H.R. 4211's journey through the legislative process. The bill could positively impact millions of Americans who cannot currently secure mortgages or are forced to pick from less than stellar options simply because the system in place today doesn't truly measure how financially responsible they are. You might not have the all-cash trump card that lots of investors play, but that doesn't mean being a homebuyer doesn't come with its own set of advantages. Competing with real estate investors can be tough, but you can do it -- and you can even win. Real estate investors are focused on trying to score a great deal (not finding their dream home), so although they frequently make those super-attractive all-cash proposals, they may also come in with a lowball bid. By putting in a strong (and realistic) offer, getting a preapproval, and showing your personal side (after all, you're going to live in the house, not flip or rent it! ), you can go toe-to-toe with the big guys and score the house you want. Here are seven proven ways to beat out the investors -- and land that home for sale in your area. 1. Put in a strong offer: The most basic way to win a bidding war is to offer more money. "Cash buyers are always looking to get into a property at lower-than-asking prices," says Arvin Sahakian, a California real estate broker and vice president of BeSmartee, an online mortgage broker. "Buyers competing with cash investors have to come in with strong offers at asking price, and perhaps slightly over asking price." 2. Don't skimp on the earnest money: "Earnest" might be an old-fashioned way of saying "serious," but the concept it represents -- of putting your money where your mouth is -- is timeless. Earnest money, which you put into an escrow account right after signing the purchase agreement, signals to the seller that you're serious about buying the house -- and that you won't back out. Investors often don't put down earnest money; they hate tying up funds because they're likely to have lots of deals happening at once. So how much earnest money puts you ahead? "Generally, the safe bet is 1% of the purchase price; $500 sends the message you don't have [much] money," says Joshua Jarvis, a Georgia agent. Many buyers offer up to 3%, depending on the area. 3. Get a preapproval or (even better) a pre-underwriting letter: Being preapproved for a loan, if you're competing with an all-cash buyer, is practically a requirement if you want the seller to consider your bid. A preapproval letter is a statement from your lender that you are approved to borrow a certain amount of money. But you can kick up the preapproval a notch by presenting a personalized letter instead of boilerplate, says Casey Fleming, author of The Loan Guide: How to Get the Best Possible Mortgage. "This means that the mortgage adviser talks about what great folks you are and includes information that would not apply to other buyers." There's also a way to take this process to Buzz Lightyear's favorite place: infinity and beyond! Do so by getting a pre-underwriting letter (or a conditional approval), a more thorough vetting process than preapproval. While preapproval involves checking income, bank statements, proof of down payment funds, and credit history, pre-underwriting also reviews all the documentation required to get the deal done. "A conditional approval is the closest offer to cash. If you're a poker player, it's the second-best hand to have," says Nicole R. Wilhelm, an agent in the San Francisco, CA, Bay Area. Buyers with a pre-underwriting approval are in the same position as all-cash buyers as far as the seller is concerned, including being able to close fast, since they've already gone through the detailed mortgage process. "What attracts sellers to an all-cash offer is the speed to close. At the end of the day, the seller receives a wire transfer in their bank account. There's no duffle bag of cash with an all-cash offer," says Wilhelm. 4. Personalize your offer: This move falls under the category of it couldn't hurt. And since this strategy costs you nothing, go ahead and tap into the seller's emotional ties to the house. "Many sellers are very sentimental about their homes," says Christy Edgar, a Virginia agent. "They raise their families there, they fix it up, and they love it." So bring out your inner Hemingway and let the seller know how you and your family will enjoy the home. "A well-written narrative can put you ahead of other offers in many circumstances." 5. Waive the financing-contingency clause: This clause allows buyers to walk away from the deal if they don't get the loan or if the appraisal comes in below the offer. If you waive the financing clause, you'll grab a seller's attention. Getting a preapproval or pre-underwriting letter helps you "be more confident in your financing terms," says Daniel Blatman, a New York broker. "All the risk [would then be] on the appraisal only." Be prepared to lose money with this option, though. Choose it only if you don't mind losing your deposit or paying more -- possibly much more than the home is worth. 6. Remove (or at least reduce) the inspection contingency: Cash investors often buy a property as-is. That's because they've probably bought homes before -- lots of times. They know what to look for, and if they're planning to buy a fixer-upper to flip as an investment, they've already budgeted for repairs. "[Removing the inspection] tells the seller that the accepted offer from the buyer will go into escrow and, therefore, close escrow quicker," says Arvin Sahakian. To compete with that, work with your agent to shorten the inspection period. "If an agent has an inspector that they use a lot, they may get an appointment lined up while writing the offer," says Mark Charlesworth, a Portland, OR, agent. But don't waive the inspection altogether. It's just not worth the risk. 7. be flexible with the possession date When an investor wants a property, they usually want it right away. But you can be more flexible. "Sellers are often nervous about where, when, and how they will find a replacement property," says Charlesworth. "Give them some time to rent back the property so that they can find a new home. Investors hate that!" To help you find that perfect piece of paradise, is New Mexico Mountain Properties we take the time to help you find just what you are looking for, from our stunning mountain homes for sale in Angel Fire and the unique homes for sale in Taos, to the wide open Taos and Angel Fire land for sale. Want seclusion from the mundane try our Earthship homes for sale in Taos and get in touch with nature. Our Angel Fire condos for sale offer beauty and walking distance to the Resort. Whatever you're looking for we will help you find it, our agents go above and beyond the normal to give you the extraordinary. So give us a call at 575-377-2626 in Angel Fire, 575-758-5852 in Taos, or speak to an agent directly at 575-770-3306. Let us serve and welcome you to this truly magical area. Make sure you understand your financing options before you take the important step of buying a home. Buying a home is time-consuming. Before you even start searching for that perfect property, whether you're searching for homes for sale in Chicago, IL, or Houston, TX, you'll need to spend hours working with mortgage lenders to learn how to budget your finances for your home purchase. Once you've interviewed multiple mortgage lenders and vetted your lender to make sure they're reputable, explain your financial situation: What's your monthly income, what are any other big monthly expenses, and what can you ultimately afford as a down payment? Mortgage lenders will respect that you work hard for your money -- and you want to spend it wisely. After running a credit check, your lender will present you with options for what you may qualify to borrow. The mortgage amount can be different depending on two things: the product and interest rate. Since the interest rate determines what you'll owe every month on that balance, understanding how different mortgage products work is key. Here are 10 questions to ask to make sure you're getting the best rate (and the best deal). 1. What is the interest rate? Your lender will offer you an interest rate based on the loan and your credit. The interest rate, along with the mortgage balance and loan term, will determine your real monthly payment. A loan with a lower balance or a lower interest rate will make for a smaller monthly payment. If you're not satisfied with the interest rates offered, work to clean up your credit so you can qualify for a lower interest rate. 2. What is the monthly mortgage payment? As you develop a budget for your new home, make sure you can afford this monthly mortgage payment -- and be sure to include insurance and taxes in your monthly payment calculations. And don't forget about short-term financial goals -- say, saving up for a vacation or buying a new computer -- and long-term retirement goals to consider. Your monthly mortgage payment shouldn't be so high that your money can't work toward your other financial goals. Fixed-rate loans keep the same rate for the life of the loan, which can range between 10 and 30 years. Adjustable-rate mortgages, or ARMs, have interest rates that change after an initial period at regular intervals. If you don't plan to stay in your home long-term, a hybrid ARM with an initial fixed-rate period may be a better choice, since this type of loan tends to have lower interest rates than fixed-rate mortgages. If you do consider an ARM, make sure you ask (and understand!) when the rate will change and by how much. Ask how often the rate will change after the initial interest rate change, the index that it's tied to, and the loan's margin. There are usually caps to how much the interest rate can increase during one period and over the life of the loan, so recalculate the monthly payment to make sure you can afford that higher rate. 4. What fees do I have to pay? One-time fees, typically called "points," are due at closing. For every point you pay, your lender will decrease your interest rate by 1%. You can also inquire about whether you might have the option of paying zero closing fees in exchange for a higher interest rate. 5. Does the loan have any prepayment penalties? If you're saving up to make some extra mortgage payments to pay off your mortgage principal early, you may have to pay a fee. Don't forget to ask this important question. 6. When can I lock in the interest rate and points, and how much does this cost? Your lender may be able to lock in your interest rate for a time, and for a fee. If rates go up, you'll still be able to benefit from a lower rate on your mortgage. 7. What are the qualifying guidelines for this loan? The underwriting guidelines are different for every loan, as are income and reserve requirements. Along with requiring you to have sufficient funds for the down payment and closing costs, most mortgages require proof of income and reserves of up to six months of mortgage payments. 8. What is the minimum down payment required for this loan? Different loan products have different down payment requirements. Most mortgages require a 20% down payment, but if you qualify for an FHA loan, for example, your down payment could be as low as 3.5%. In general, loans with lower down payments cost more. 9. Do I have to pay for mortgage insurance, and how much will this cost? 10. Do you have other mortgage products with lower rates that I qualify for? When looking for a home or property look no further than New Mexico Mountain Properties for all your Real Estate needs. With two locations in both Angel Fire and Taos, NM and our dedicated staff, we will do everything we can to find you that perfect place. Our Angel Fire homes for sale offer stunning views of Moreno Valley combined with the land for sale in Angel Fire you get the best of both worlds. While our homes for sale in Taos give you glorious views of the mountains and the Taos land for sale lets you escape from the everyday. If you're looking for smaller living we have our condos for sale in Angel Fire and Taos. We can help you find whatever Taos or Angel Fire real estate you are looking for. So give us a call at 575-377-2626 in Angel Fire, 575-758-5852 in Taos or 575-770-3306 to speak directly to an agent. We are here to serve and welcome you to our scenic area. How Much Is My New Home Really Worth? Home values can rise (and fall) over time as neighborhoods change. Just because the home down the street sold for a record amount six months ago doesn't mean yours will net the same amount when you're ready to sell. Because of this, it's important to not only maintain and care for your house as you would any major asset, but also to know exactly the best way to earn your money back if the time to sell your real estate ever comes. Similar to reviewing your retirement portfolio with your financial adviser, it is important to keep a check on your home's market value for the different changes that happen in your life. Whether you plan to sell now or in 10 years, knowing what your home is worth is crucial to your finances. Here's why you should keep a pulse on the market and regularly ask the question. What is my house worth? Sure, you've been dying to rip out your old countertops and replace them with chic soapstone complemented by a sleek glass tile backsplash. But if every other home in your neighborhood still has the same kitchen you have, it might be in your best interest to skip the pricey remodel. It's useful for a homeowner to consult with their real estate broker before they make any upgrades to the home. Some upgrades have a higher return on investment than others. There is also the risk of over-improvement. If a homeowner upgrades their home above the norm in their neighborhood, they may have to wait until those types of upgrades are more common to see a return. Sometimes when a market is hot, putting your home up for sale makes more sense than staying put. If that's the case, knowing what your investment is really worth can make you think differently about whether it's time to move. It's important to have a good grasp of your home value in the same way you need to know how much any of your assets may be worth. Additionally, if life circumstances change, a homeowner may be in the position to make a quick decision to sell or not. Having good data and an experienced broker to help you assess value is key to making the best decision possible. Besides needing to know if an upgrade or renovation makes sense, it's also important to know what your home's true value is before applying for an equity loan to put on an addition, complete renovation work, or upgrade that kitchen. Most banks will let you apply for an equity loan up to 80% of your property value, and there are some that will even go to 90%. If you are thinking about obtaining a loan, it is important to understand your home value before you go through the stress and hassle of filling out the paperwork and paying the fees for an equity line application. Many mortgage companies will charge private mortgage insurance (PMI) if the buyer puts less than 20% down. However, once you have reached 20% equity, either by payments or appreciation, you can usually apply or refinance to remove the PMI. Knowing your home value will help to know when to touch base with your lender about removing this payment. Overestimating your home's worth, or mistiming the listing, can be detrimental to making a sale. Besides losing interest from potential buyers because you may have outpriced them from the get-go, your home will also probably sit on the market longer, which can be a listing's scarlet letter in the real estate world. Overpricing your home actually loses you money. Many buyers won't even want to tour an overpriced home because they see it as a waste of time. Being overpriced typically leads to longer market time and more holding cost. As we all know, once a home sits on the market for a long period of time, it starts to raise questions with potential buyers on why it hasn't sold yet. Let New Mexico Mountain Properties be your first stop for all your Taos and Angel Fire Real Estate Needs. We offer condos for sale in Angel Fire and the Taos Ski Valley that put you close to all the fun winter activities. The homes for sale in Taos and Angel Fire give you some of the best views around! If you prefer to build your own dream home then check out the beautiful land for sale in Angel Fire and Taos. With locations in both Taos and Angel Fire, our dedicated staff go above and beyond in order to find just what you are looking for, so give us a call at 575-377-2626 in Angel Fire, 575-758-5852 in Taos, or speak directly to an agent at 575-770-3306. Let us serve and welcome you to the Enchanted Circle, you'll be glad you did!